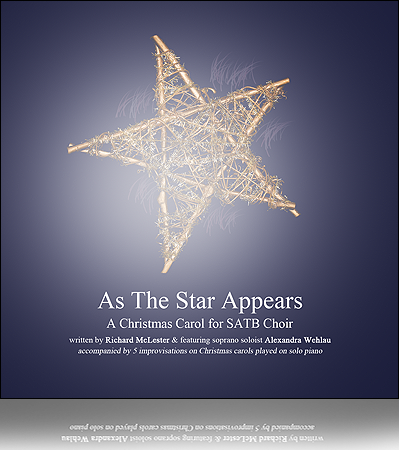 As The Star Appears A Christmas Carol for SATB Choir. Accompanied by 5 improvisations on Christmas carols played on solo piano. Written by Richard McLester & featuring soprano soloist Alexandra Wehlau. Total Running Time: 22 minutes 37 seconds. 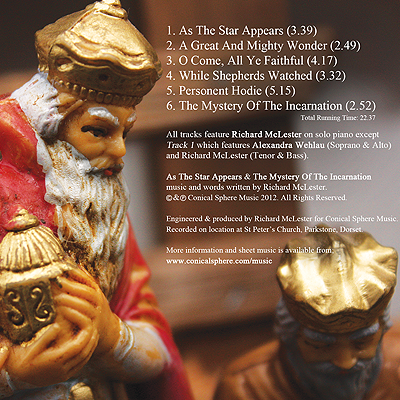 Engineered & Produced by Richard McLester for Conical Sphere Music.